We invite a molecular biologist or biochemist with an interest in questions of gene regulation to join our team at the Gene Center Munich. Our lab studies regulatory processes in Drosophila development at a systems level, using a combination of biochemical, genomic, and computational approaches. Current research is focused on understanding how cis-regulatory elements ‘compute’ expression to produce defined spatio-temporal patterns, the architecture and function of core promoters, and the regulatory role of chromatin. Our long-term goal is an integrated quantitative model of transcriptional regulation that realistically captures the underlying molecular mechanisms. The Gene Center of the LMU Munich is an interdisciplinary institute whose 16 independent groups study gene regulation at every level, from molecular mechanism to biological system. 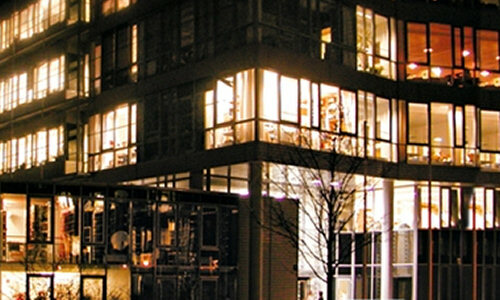 The Center is located on the biomedical research campus in Munich-Großhadern and provides a dynamic, interactive, and internationally diverse scientific environment. You will work on projects aimed at tracking regulatory events at high resolution and throughput, using methods such as next generation sequencing (ChIP-, RNA-, DNase-Seq) and reporter assays to test synthetic regulatory elements. The initial focus will be to construct and measure the activity of a large library of synthetic core promoters using high throughput robotics. You will also help coordinate and manage lab activities in these areas and advise PhD students. PhD in molecular biology, biochemistry, biotechnology/bioengineering, or similar qualification, with substantial experience in functional genomic approaches and cell culture techniques; experience with synthetic biology and high throughput robotics is a plus. Our ideal candidate has excellent technical skills, is well organized yet creative and fearless in optimizing and developing new techniques, and enjoys working within a multi-disciplinary team of scientists. The salary is according to the TV-L and depends on your qualification and experience. The position is available immediately and will initially be for two years, but we are interested in a longer-term relationship. The University of Munich is an equal opportunity employer.